With the GTX 1080 and the GTX 1070 video cards almost on the market AMD feels pressure to deliver new GPUs and keep its market share. The company will quickly respond with the release of the 4th GCN GPU generation called Polaris. There are just a few details available as of now but the available information will become more and more for sure. Unfortunately the news this time is not very good. AMD plans two Polaris GPUs as of now – a high-end one and a mainstream chip. Unfortunately based on information on the Internet the high-end Polaris 10 chip, also known as Ellesmere may not be as powerful as previously expected. The GPU was said to come with 40 compute units (CUs) but there’s a belief now that Ellesmere may arrive with 32 CUs only. Given that each CU may feature 64 stream processors (SP) the total count of SPs will be 2048. 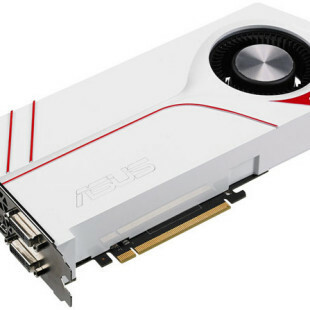 The GPU will also offer a single-precision floating point performance level of 5.5 TFLOP/s, which is very close to what the Radeon R9 290X with its 2816 stream processors offers – 5.24 TFLOP/s. This makes Ellesmere more efficient than the Radeon R9 290X but will the card be able to compete with NVIDIA’s offerings? In addition to this cards on Ellesmere will have 8 GB of GDDR5X memory and 256-bit memory buses. As to Polaris 11 – this will be a mainstream chip that won’t land in desktop computers. Polaris 11 will be a mobile chip that will likely come with 14 CUs and hence 896 stream processors. The chip will enjoy the company of 4 GB of GDDR5 memory and a 128-bit memory bus and will offer around 2.5 TFLOPs of performance, which will make it as fast as AMD’s older Tonga GPU. The two new chips should arrive this summer.